Welcome to the Gahanna Senior Center, home of Gahanna’s Active Senior programs! We are proud to offer a variety of programs and activities to meet the growing needs and interests of our community. Membership is required for participation in all programs for Active Seniors ages 55 and over. The programs include our recurring weekly and recurring monthly activities, special events, various meal programs, wellness and fitness classes, cooking programs, and great year-round travel opportunities. Please register in person at the Gahanna Senior Center. Click on the categories below for details. Participate in Gahanna’s fasting growing golf league! Our 55+ Senior Golf League plays Thursday mornings at the Gahanna Municipal Golf Course, as well as other area golf courses. Join us at the league organization meeting on March 28 at 9:30am if you are interested in participating. League play will begin May 2 at our Gahanna Municipal Golf Course. Participants must register membership through the Gahanna Senior Center. Join us at the Gahanna Senior Center for a day of everything Senior! This event will showcase guest speakers, complimentary classes, informational vendors, give-a-ways, food, LIVE music, and more! If you or a loved are 55+ and want to learn more about services and activities offered in the area, please stop by the Senior Expo! All Gahanna residents & non-residents welcome! Learn more about our Active Senior programs! The Gahanna Active Senior Program is a second home to over 500 active members. We welcome you to join us! Membership is open to residents and non-residents of Gahanna age 55+ and our annual membership fees are $30 or $40 based on residency. Our meal programs are great ways to enjoy meals with friends. These programs include Lunch Socials, Lunch & Bingo, Lunch Bunch within the community, Potluck & Project Interact, Lunch & Learn, Herbal Kitchen & Culinary Delights, and Microwave Meals. Join us as we discover some great places—near and far! Our travel program is open to all individuals 55+. Members receive priority registration as well as discounted pricing. Trip reservations and payments must be made in person at the Senior Center. Travel Presentations are provided by our travel agent to learn more about trip destinations and to answer questions. Tour some of the highlights of the Canton/Akron area! Learn about America’s most popular professional sport by exploring the Pro Football Hall of Fame. Then visit Pap Bear’s Italian Restaurant and Pizza Oven, a Canton tradition since 1956. After you get your fill, welcome spring with a tour the historic Stan Hywet Hall & Gardens. Departs Senior Center at 6:45 am with an estimated return at 6:45 pm. Activity level: moderate. Depending on the season, we conduct year-round special events that are sure to entice the various interests of our membership. Special events are conducted at the Center as well as at various locations throughout our community. Events include Spring Fling, Senior Swim Days, Potluck Picnics, Fall Fireside Feast, our annual Halloween Costume Party, Christmas Open House, Senior Expo, Social Fundraisers and more. We host several clubs and leagues throughout the year. Examples include the Gahanna Senior Golf League, Garden Club, Bocce Club, Table Tennis League, various card groups, and the Red Hatters. Are you looking to be part of a bigger picture and meet new friends…join us! Learn new exercise routines while enjoying time with friends during our series of wellness programs. Programs include Yoga Gold, Zumba Gold, Line Dancing, Tai Chi Chang Style and Tai Chi for Arthritis/Fall Prevention. Many of our programs would not be possible if not for the generous support of our community sponsors. Opportunities include special event sponsorships, lunch & learn meal programs, clubs & league sponsorships, among other great ways to support our programs. Please contact the Senior Center if you would like to get involved! 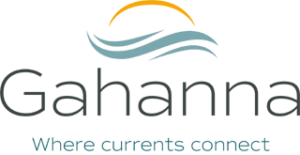 Get the latest news and updates each month in Gahanna’s “Senior Spotlight” Newsletter. The Spotlight includes a host of information, updates, and upcoming events you won’t want to miss. In addition, you may reference our weekly and monthly calendar of events.